These prints of Jackson are also available at the Ella Sharp Museum Gift Shop. We also have a scene of the Civil War Muster but have not yet posted it to this page. 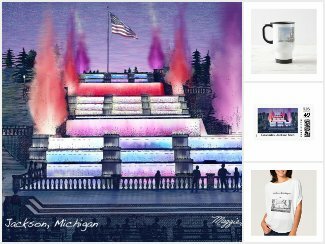 including coffee mugs, t-shirts, invitations and ceramic tiles.